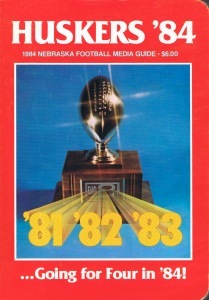 Inside: Out with the old stadium clock. 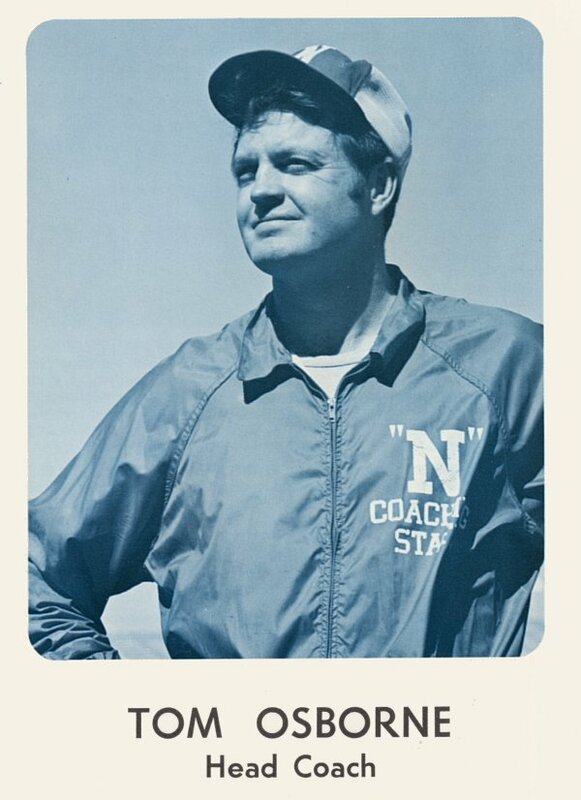 new NU basketball coach Joe Cipriano. 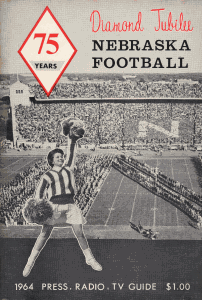  The N Club Sweetheart. 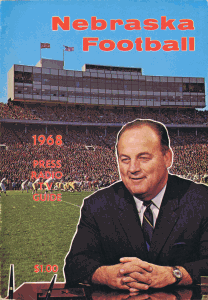 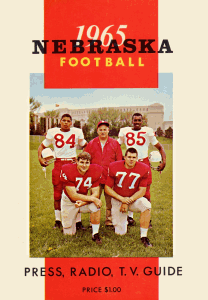 On cover: Bob Devaney & players (detail). 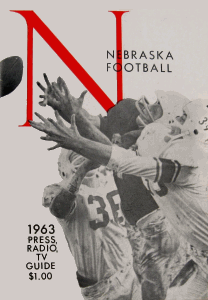 defensive platoons; first mention of "Black Shirts." 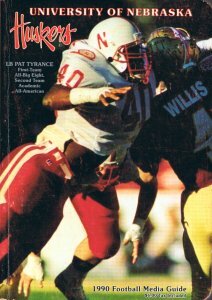 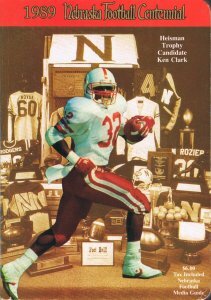 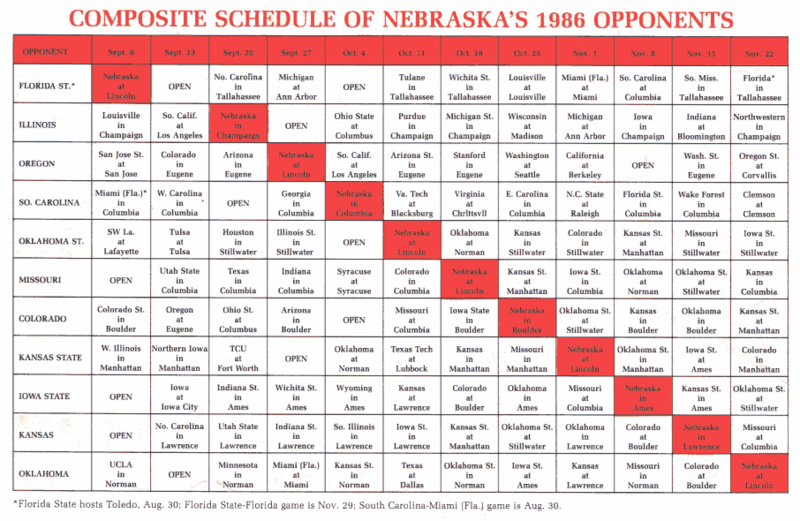 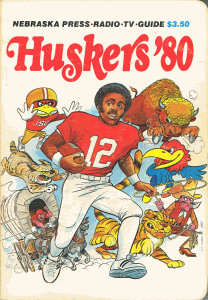 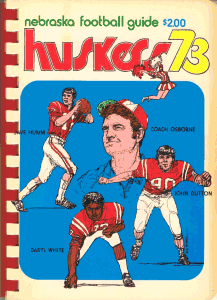 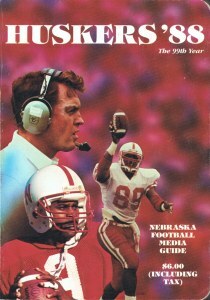 Inside: A Husker TV game was a rare treat. 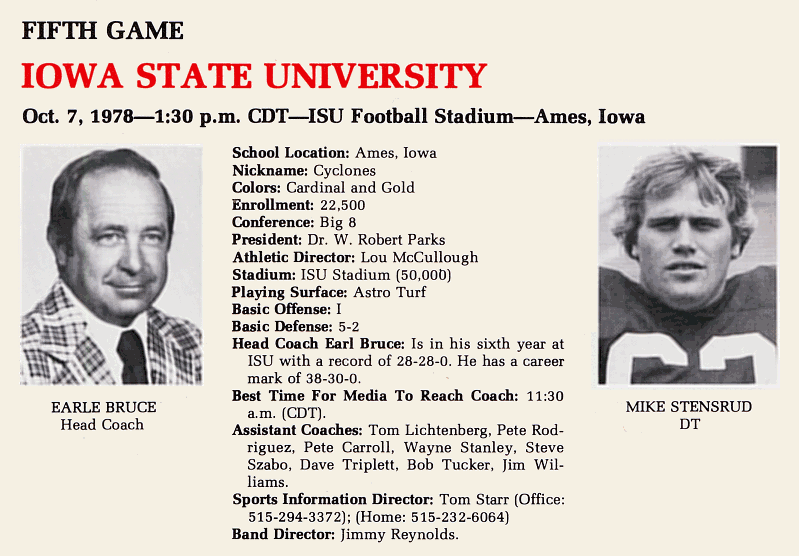 back then -- fall camp started Aug. 28. 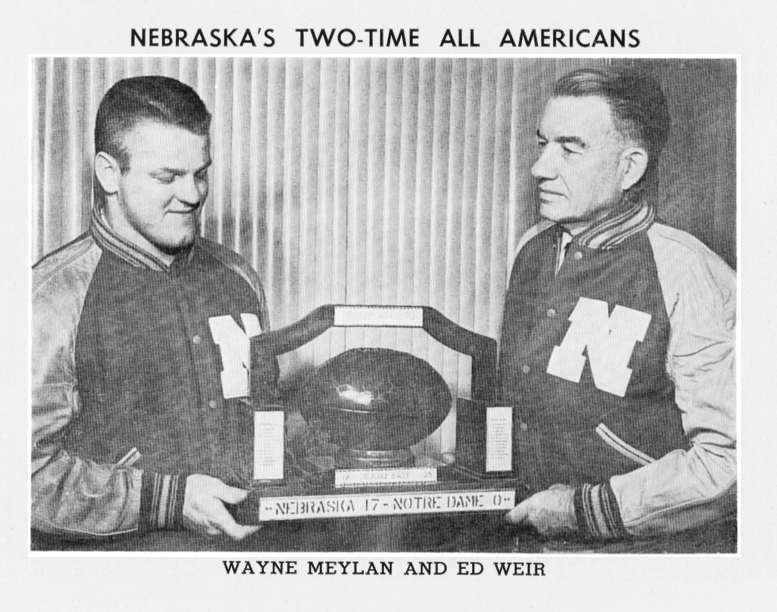 Inside: Wayne Meylan & Ed Weir. 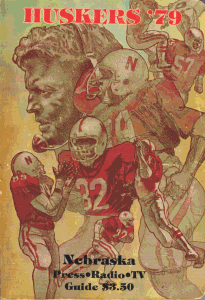 last year's freshmen will have an impact? 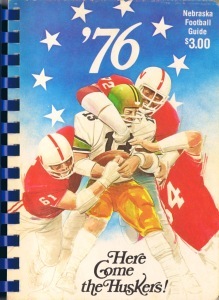 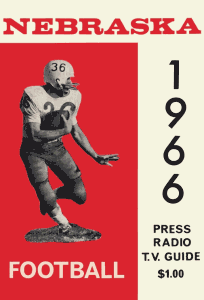 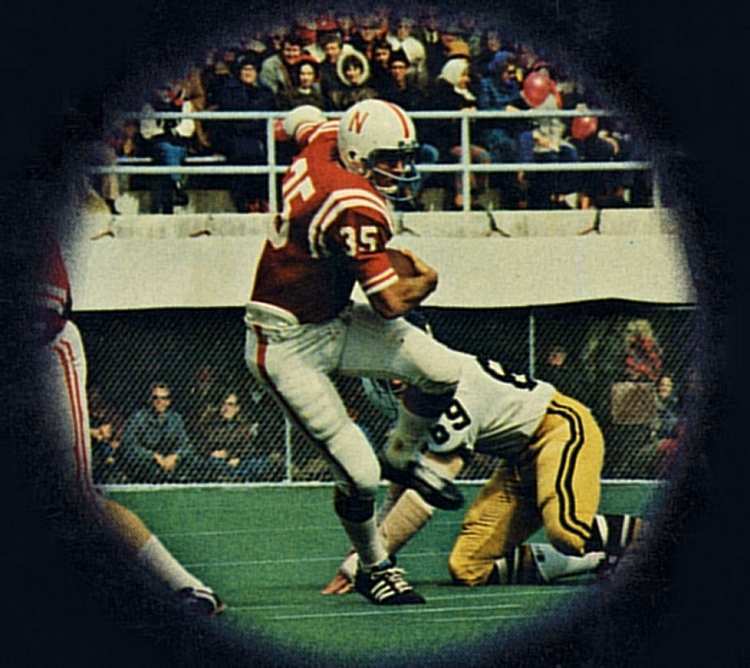 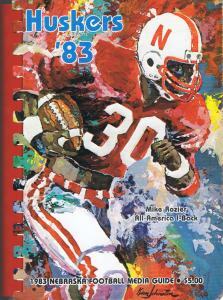 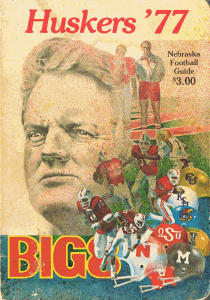 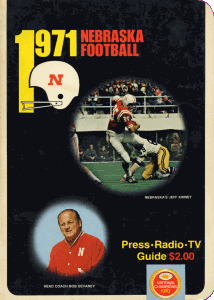 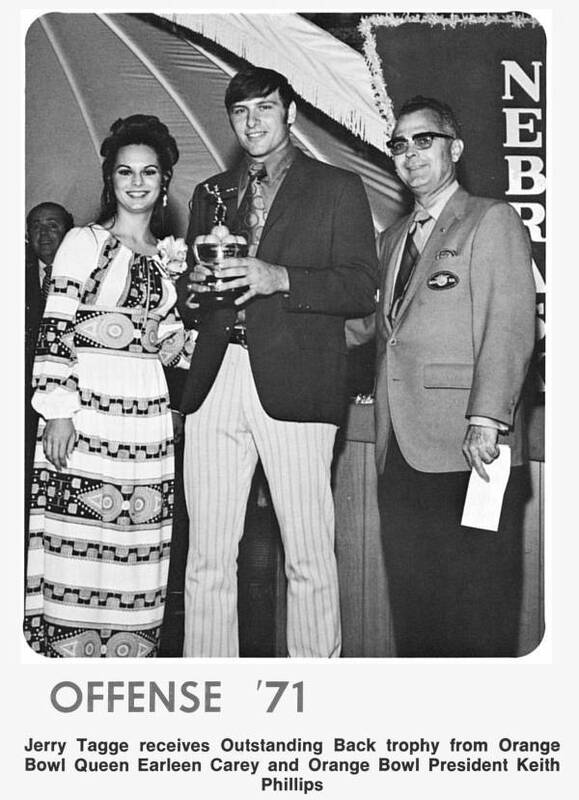 On cover: Bob Devaney, players (detail). 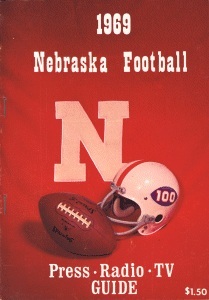  Team logos of the era. 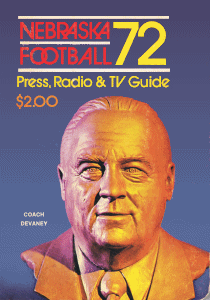 Inside: Jerry Tagge looking sharp. 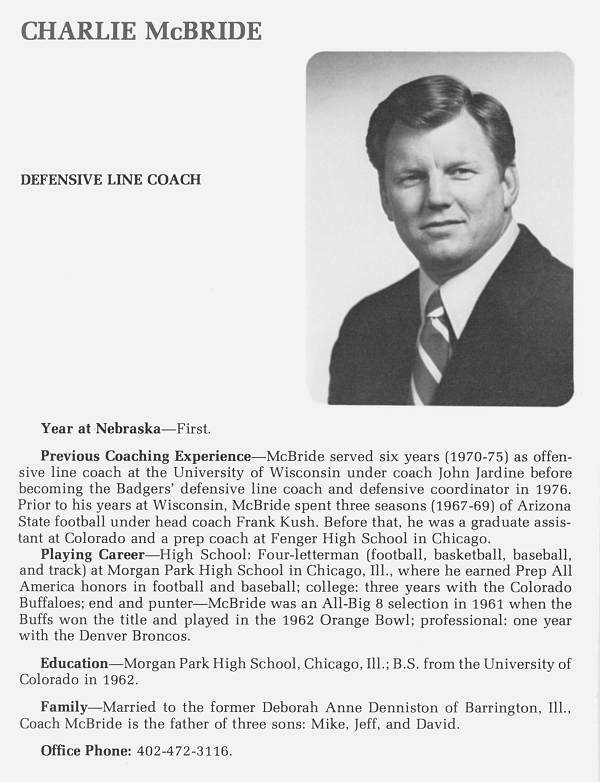 a surprising name or two. 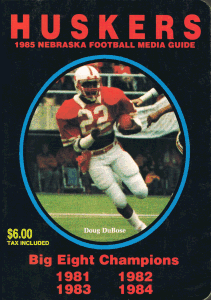 It's called a "media guide" for first time. 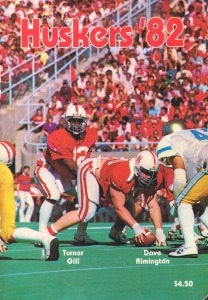 Roger Craig, Dan Hurley, Tom Osborne. 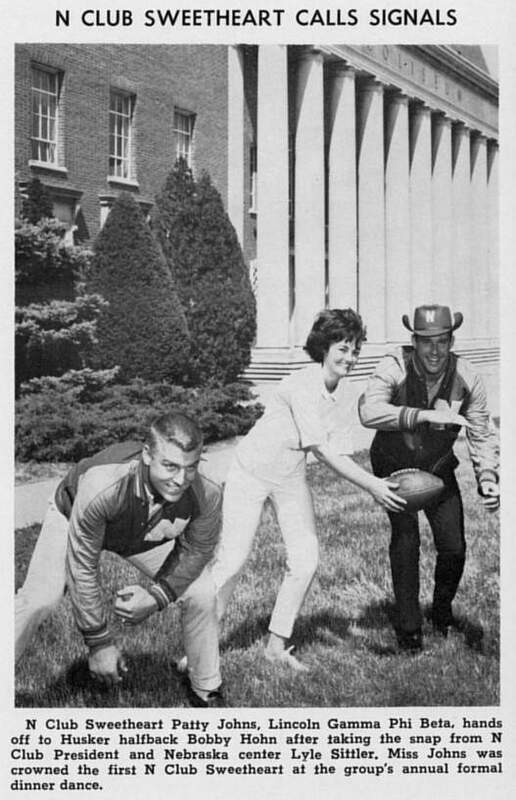 Inside: Can we lock in these tuition rates? 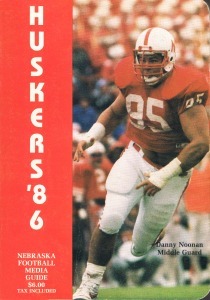 but he made six Pro Bowls. 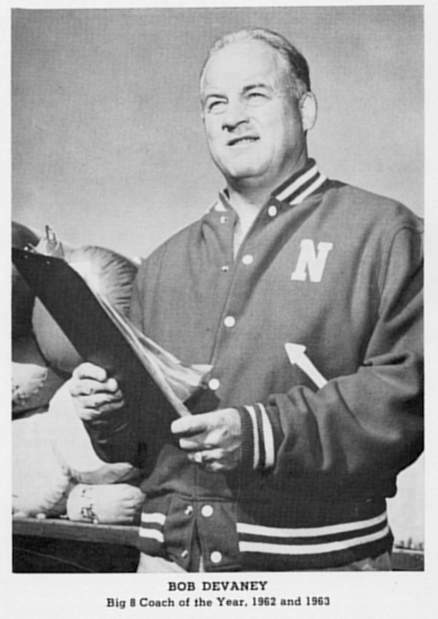 assistant from Bob Devaney's staff. 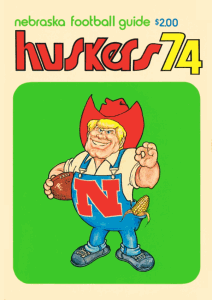 ones who fire up the crowd. 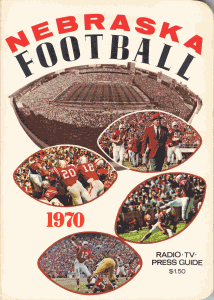 Its a rite of late summer to thumb through a freshly minted NU media guide in anticipation of the season to come. 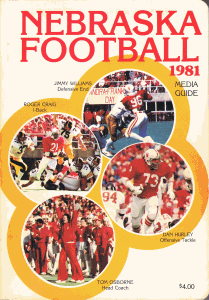 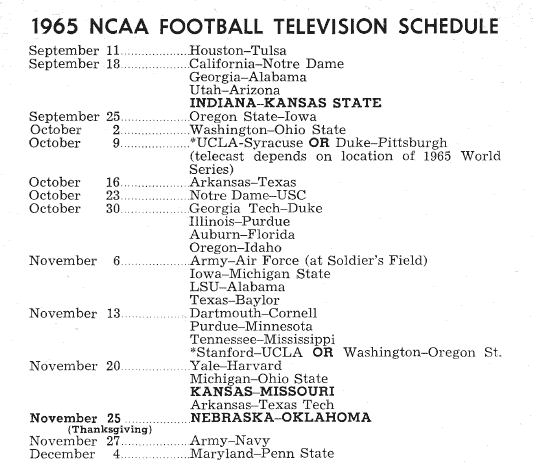 Media guides from yesteryear, on the other hand, offer a fascinating window to seasons and eras past. 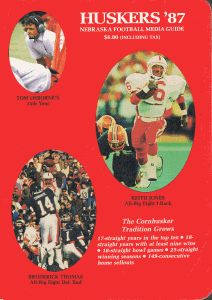 This collection spans the years of small-format guides, 1990 and earlier. 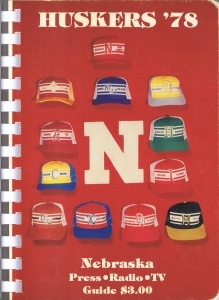 and we'll find a way to add it to this collection. 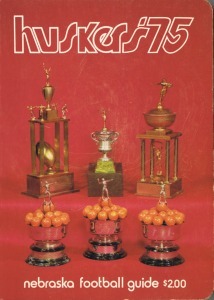 Click on covers to view larger versions.